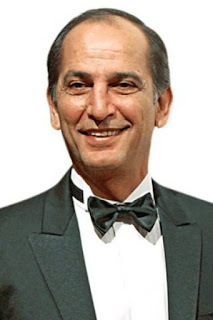 Hesham Selim, an Egyptian actor, was born on 27 January 1958 in Cairo, the capital of Egypt. Full report on Hisham Selim's life story, biographical information from Wikipedia and the latest news. Hisham Selim was born on 27 January 1958 in Cairo, the capital of Egypt. He studied at the Institute of Tourism and Hotels in 1981 and then studied art at the Royal Academy in London through free studies and studied French. He starred in many films, series and plays. His first appearance was in his role as the son of Faten Hamama in the film "Empire of the Mim" directed by Hussein Kamal. He is the son of the Egyptian ball maestro Saleh Selim and the brother of Khaled Salim, the husband of the artist Yousra. He married Mervat Mustafa Al-Nahas and gave birth to him. He was able to mature in performance in recent years and he appeared to be a good model in: the viewer, Donya Yagrami, the storm.